To celebrate Arizona Medical Marijuana and our love for edibles, Health for Life will be Hosting Amy and Al’s on Tuesday, February 20th from 10:00am -2:00pm! 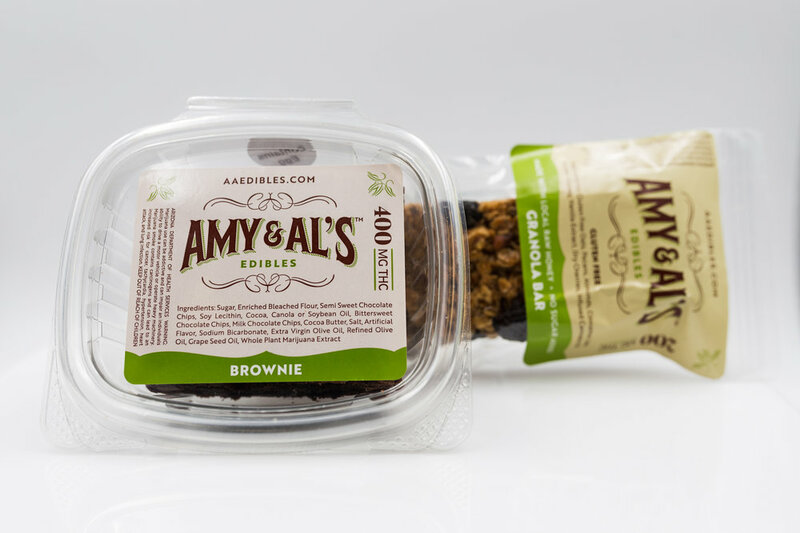 We will be having a raffle for 10 Amy & Als Edibles and will also be providing FREE tasters (unmedicated samples)! Representatives will be able to educate you about their medicated products and you can learn why we love Amy and Al’s! Stop by Health for Life’s NORTH location to check out A&A brownies, bars, and baked goods! Amy and Al’s has plenty of edible treats and baked goods for you to try out! The Green Halo Patient Appreciation Day!